Can Community-Led Total Sanitation End Open Defecation in India? Open defecation is a serious problem that community-led initiatives can positively impact. This article was written by Mayuri Battacharjee and originally published on the CLTS Foundation website and can be found here. 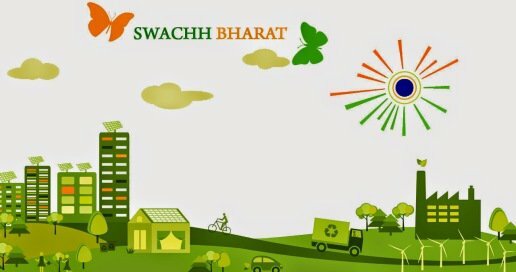 CSR investments in Swachh Bharat Mission – How to unlock their full potential? On October 2nd, 2014, Prime Minister Narendra Modi launched the mammoth Swachh Bharat Mission (SBM) with the promise to make India open defecation free (ODF) by 2019. Along with providing government funding, the SBM also sought active participation from the corporate sector to tackle the issue. To this end it launched the Swachh Bharat Kosh (fund) “to facilitate channelisation of philanthropic contributions and Corporate Social Responsibility (CSR) funds”. Companies responded with enthusiasm; many did so because of Section 135 of the Companies Act, 2013, which introduced mandatory CSR, to contribute to the campaign. Total fund mobilised under Swachh Bharat Kosh (SBK) as on January 31, 2016 stood at Rs 369.74 crore. Now, a recent report ‘CSR in Water, Sanitation and Hygiene (WASH) – What are India’s Top Companies up to?’ by the India Sanitation Coalition(ISC) and Samhita Social Ventures sheds some light on the nature of intervention by companies. The findings give interesting insights into how companies perceive their CSR investments in WASH.
Are current CSR investments making India ‘Swachh’? The study selected 100 companies with the largest CSR budgets on the BSE 500. 90% of these 100 companies reported at least one CSR intervention in WASH over the last three years, with a total of 164 programs carried out. A vast body of research in the past few years prove that one of the key reasons for high open defecation rates, particularly in rural India, is the lack of proper behaviour change interventions, especially collective behaviour change. The Nirmal Bharat Abhiyan had a budget outlay of Rs 4260 crore, but at the end of the programme India still remained the country with the highest number of open defecators. The SQUAT survey findings by r.i.c.e. Institute also show that poverty is not the only thing that is holding rural households back from building toilets; large parts of the population do not seem to have as yet made the association between good health and using toilets. In the SDG era, companies can’t afford to waste their resources on toilets which will not be used. Posing beside newly built toilets could be a great photo-opportunity for companies, but they must keep in mind that the photos of defunct and unused toilets built by them could also be potentially damaging to their public image. India Inc have to start thinking about their CSR in terms of ROI (return on investments), which in this case should be social, economic and health impact of their investments in WASH. If SBA is about behaviour change and not infrastructure then why is corporate India not following suit? Why are all monies being mobilised for constructing toilets? Or is India Inc suffering from the hangover of an incentive driven regime? In the past two decades the CLTS (Community-led Total Sanitation) approach has firmly established its potential to create lasting social impact. It focuses on igniting a change in collective sanitation behaviour, which is achieved through a process of collective local action stimulated by facilitators from within or outside the community. CLTS involves no up-front, individual household hardware subsidy and does not prescribe latrine models. At the heart of CLTS lies the recognition that merely providing toilets does not guarantee their use, nor result in improved sanitation and hygiene. The success of this approach is evident by the scale of its spread. At present the approach has been rolled out in more than 65 countries and is in the national policy of more than 35 countries. It is indeed sad for India that such an approach which has been developed by an Indian national (Dr Kamal Kar) has been limited in its impact by myopic thinking. The corporate sector in India is powerful and has been driven by innovation. It is led by business houses which are respected all over the world. We are half way through the programme period of the SBM and it’s a good tie for India Inc to pause and rethink strategies. There have been archipelagos of success of CLTS interventions which have to be replicated rapidly. For e.g. 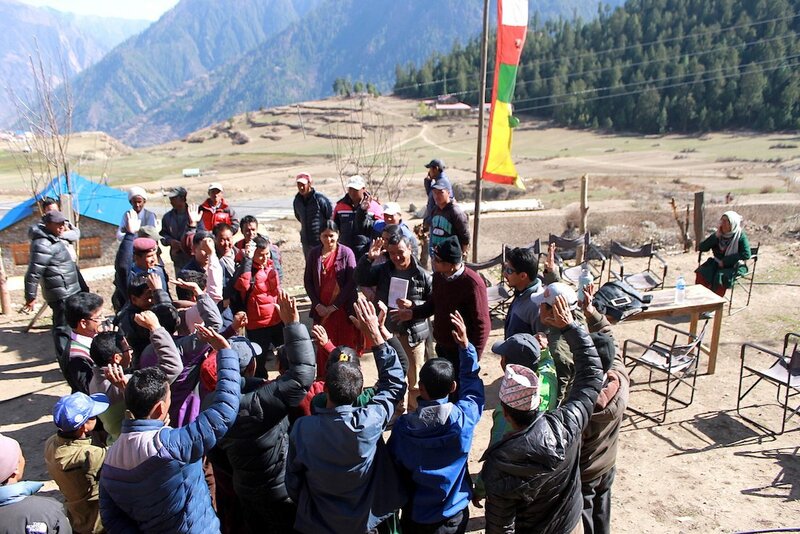 : In January 2005, the government of Himachal Pradesh formally approved a comprehensive new rural sanitation strategy for the state with every one of those features that CLTS adoption and scaling up seemed to require. From the middle of 2006, a new pro-active person was given a stable tenure as Secretary, Rural Development and Panchayati Raj in Himachal Pradesh. Seeing the success of CLTS in Mandi district and WSP’s persistent advocacy, he encouraged district level trainings and participated in workshops at both state and regional level. A state level rural sanitation review committee was set up in 2007. This enabled continued interaction and the evolution of an excellent monitoring system that helped track the CLTS effort across the state. The new monitoring system focused on the processes to create ODF villages instead of counting individual toilets and state expenditure on hardware. The officials responsible for programme implementation were no longer being held accountable for toilets constructed and funds disbursed. Instead they were answerable for the extent to which communities (local government) were being facilitated to undertake the responsibility communities had assumed for improving their own sanitation situation. The programme ran effectively in campaign mode and the results became clearly visible by 2010. In recent times, Chhattisgarh has shown remarkable success. The state began the Swachh Bharat Mission on 2nd October 2014 and at that time there were only 20 open defecation free villages throughout the state, but as of May 2016, there are 1644 ODF villages in the state. The state doesn’t give upfront incentives to the households for construction of toilets. There is flexibility in the policy and often it is upto the Village Water and Sanitation Committee to decide. The state of Chhattisgarh has focused on the communities rather than the individuals. As a result it’s not family, but a set of families in the Gram, village or in the Panchayats, which are important. Indian companies have the advantage of not being burdened by red-tapism internally, so they can move with speed. There are people and organisations in India who can work with companies to help them reframe their strategies to achieve the vision of an open defecation free India. The question: Is India Inc ready, or will it wait for 2019 and see graveyards of unused toilets in Indian villages?